Safran Electronics & Defense, France, and Pramacom-HT, Czech Republic, present fort the first time at Future Forces Forum, Prague, October 17th to 19th, 2018, PASEO ISTAR, a dual capability C4ISTAR/target engagement system based on the well-established Safran’s PASEO stabilized panoramic sight for land applications. Following the signature of a MoU, the two companies have managed to combine their respective expertise and offer a product integrating Safran’s optronics and target acquisition capability with Pramacom’s communication network. PASEO ISTAR is today’s observation and target acquisition answer to the increasing requirements of joint fire and collaborative combat. Mounted on an Infantry Fighting Vehicle (IFV) or any other combat or fire support vehicle, PASEO ISTAR allows the vehicle full integration in a C4ISTAR network for combat data exchange between mounted or dismounted soldiers. Situation and target information acquired either by PASEO from armored vehicles or by dismounted soldiers are shared and processed in real time using Pramacom’s MyVector digital network, enhancing the battalion capability. It is henceforth available and proposed for new combat and fire support vehicles of the digital battlefield. Offered for the Czech BMP-2 replacement program, PASEO ISTAR would bring unique collaborative capabilities to the vehicle, furthermore fully interoperable with dismounted soldiers’ equipment already deployed in the Czech armed forces. Safran’s PASEO benefits from more than 30 years of expertise in delivering high-performance sighting and fire control systems. The dismounted version of MyVector has been in operation in Czech Army via NSPA (NATO Support Agency) and enters its second phase through the new MBK (Modular Combat System) contract of the Czech Ministry of Defense. PASEO ISTAR, integrating a large part of Czech industry know-how, is the most recent example of 20 years cooperation between Safran and Pramacom as partners in defense electro-optics. PRAMACOM-HT belongs to PRAMACOM GROUP which provides services in the field of secured communication and cutting edge optronical systems with military applications. 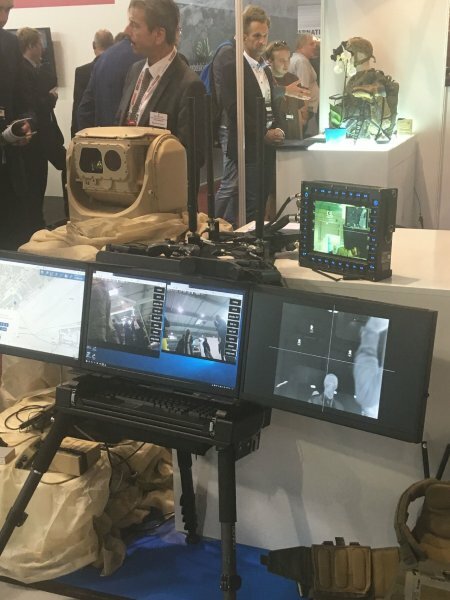 PRAMACOM-HT has been recently awarded multiple contracts to deliver its state of the art C4ISTAR soldier situational awareness system into NATO countries.